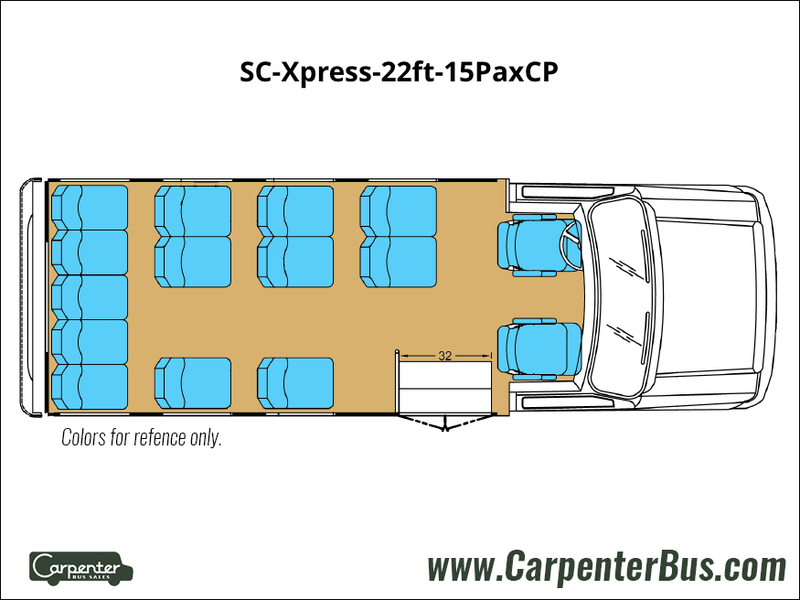 Introduced in the fall of 2011, the Starcraft Xpress was created to replace the cramped fifteen passenger vans that are on the road today. It’s dual rear wheels offer more safety and stability than raised roof vans. 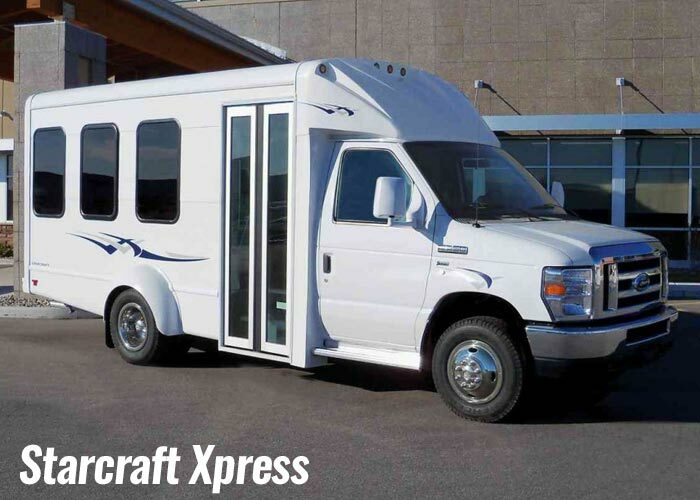 The Starcraft Xpress is ideal for shuttling passengers to casinos, resorts, and to and from the local airport. The Xpress has an electric dual pane entry door that is wide and spacious providing easier entrance and exiting of the vehicle. The bus is built on the rock-solid Ford E-Series chassis and handles like a dream. It’s body is narrower than it’s fellow models such as the Allstar and the MVP, but still have plenty of room for your passengers to ride in comfort. 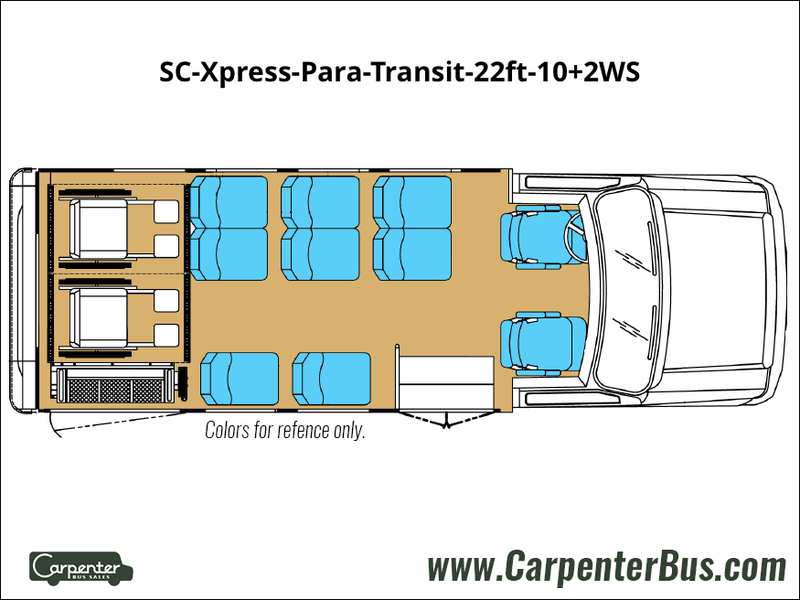 Similar to the Starlite, the Xpress carries a maximum capacity of 15 passengers including the driver which means your drivers likely will not need a Commercial Drivers License (CDL.) **Please check with your state DMV for the specific licensing requirements in your state to confirm. The low entry step makes it easier for your passengers to enter and exit the bus. 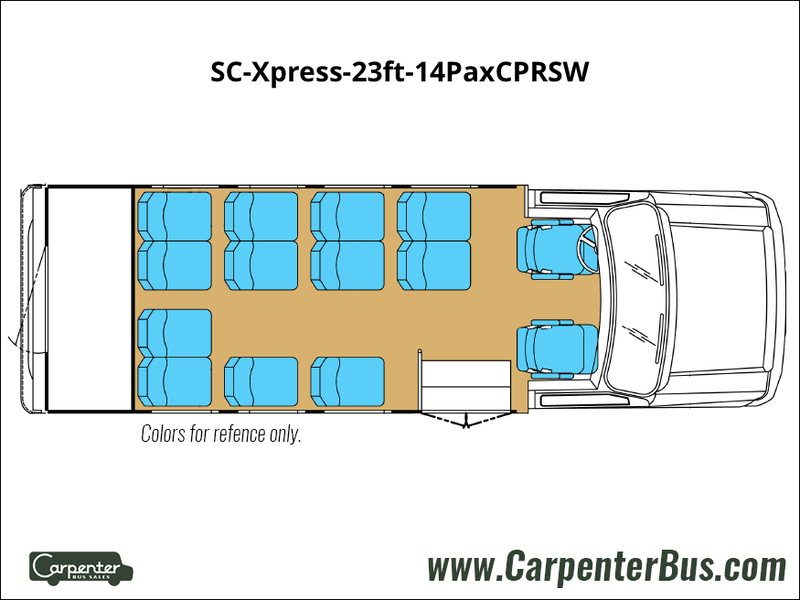 The Starcraft Xpress can be configured in a variety of ways to be able to accommodate different types of applications The Xpress can be configured to with luggage space and perimeter seating which is ideal for airport shuttles. It can also be outfitted with an ADA wheel chair station which is very popular in senior care communities. For the money, you won’t find a better bus than the Starcraft Xpress shuttle bus.